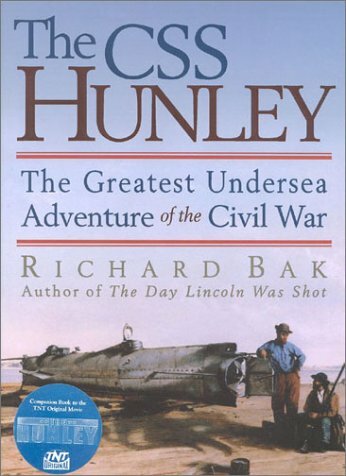 The story of the CSS Hunley's successful attack on the Union Sloop-of-War, the Husatonic is both riveting military and political history. There is enough detail for you die hard sub fans, the way the comparatively primitive technology wrestled with the problems of manned undersea operations of a warship. Students of history will love the gripping and tragic descriptions of the struggle of the besieged,blockaded, and bombarded southern cities endured, making the confedaracy desparate to enough to go ahead with a daring technological leap even though the first two crews died in the testing phase of this remarkable vessel. Highly recomended. Most Civil War enthusiasts have heard about the Hunley, the Confederate submarine that sank the USS Housatonic on February 17, 1864. Less well known, however, is that the Hunley was not alone in the water. Both the Union and the Confederacy built submarines; many were operational and patrolled for enemy ships. 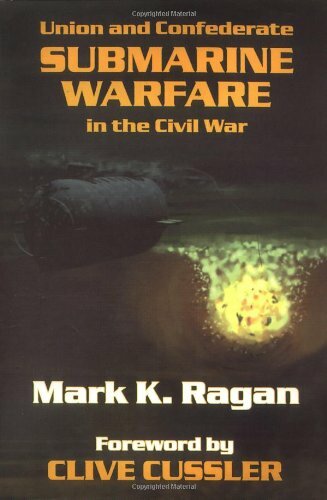 In Union and Confederate Submarine Warfare in the Civil War, Mark K. Ragan brings this little-known history to the surface. Ragan, who served as consultant on the 1999 TNT movie Hunley, uses contemporary letters, newspaper accounts, factory records, and log books to recount the early history of submarine warfare--from Bushnell's Turtle to the Hunley, from the Alligator to the Intelligent Whale. Many observers were enthusiastic about the new technology, describing it as "as formidable as it is economical." Others were violently opposed, labeling submarines "unchivalrous" and "infernal machines." For better or worse, the submarine was here to stay.